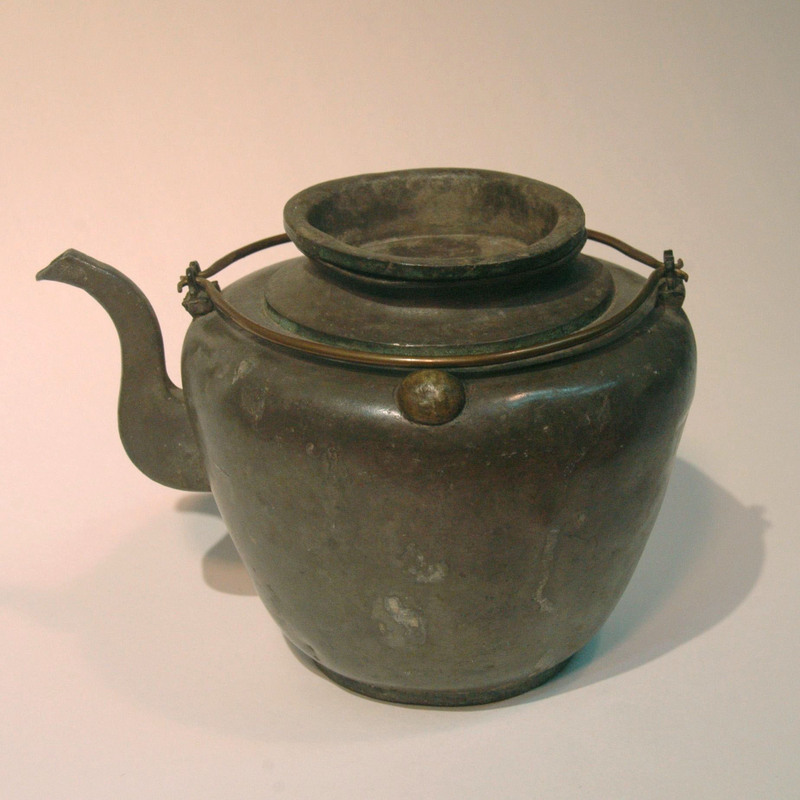 Pewter was a popular material for the tea lovers in southern China around late Qing dynasty, at that time there were no electrical kettle but charcoal stove. To keep the distinct aroma of tea, the teapot is only put on to the stove until the charcoal is red hot. The material of the teapot is also very selective, while iron and bronze could affect the subtle taste of the tea leave, pewter was seen as a better material.